In a move which could accelerate the growth of composites as a body panel and structural option for OEMs, Teijin announced Tuesday it would buy fellow carbon-fiber manufacturer Continental Structural Plastics for $825 million. The deal is expected to close in December. Teijin described itself as a thermoplastic carbon fiber leader and CSP as a thermoset fiber leader, though both companies work on both polymers. CSP is a big automotive carbon- and glass-fiber player, as its Auburn Hills, Mich., headquarters would imply. 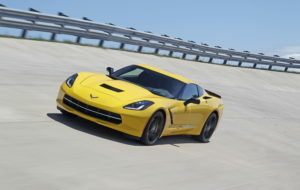 Its fiber-reinforced portfolio includes the thermoset composite TCA Ultra Lite, which can be found on 21 body panels of the 2016 Chevrolet Corvette C7. It’s also the world’s largest automotive sheet molding player. Teijin, meanwhile, that it has a “one-minute” production time for carbon-fiber-reinforced thermoplastics — which has also got to be music to OEM ears, and it has a means of reducing carbon fiber waste. It’s also done business with GM and been registered on the automaker’s materials list in the past few years. In 2011, it created a concept tiny four-seater to argue for carbon-fiber-bodied vehicles. Learn more about carbon fiber from General Motors body structures advanced composites engineering group manager Mark Voss during “Advanced Vehicle Materials, Construction and Repair Considerations” on Nov. 3 at SEMA. The second half of the segment features Dow Automotive aftermarket business marketing manager Frank V. Billotto, who’ll talk about how to join that carbon fiber and other mixed-material body designs with adhesives. The session is part of the 2016 OEM Collision Repair Technology Summit hosted by the Society of Collision Repair Specialists during the Repairer Driven Education Series Nov. 1-4. Register here. Thermosets and thermoplastics are basically different types of resin surrounding carbon or glass fibers. When these polymer matrixes harden, they’re reinforced by the fibers inside, and you get the strong, light composite material seen in cars, trucks, bikes and planes. Apparently, the two matrix substances had been sort of the Hatfields and McCoys of the composites industry for years but now are engaged in “healthy competition,” according to this 2015 Composites World column by Dale Brooks of the Institute for Advanced Composites Manufacturing Innovation. For auto body purposes, the difference is probably irrelevant (though according to Brooks, the BMW i3 and most automotive carbon-fiber has historically used thermosets). Big carbon fiber player will buy another big carbon fiber player. The bigger new company wants to make auto body composites, and it’ll be armed with both fiber players’ knowledge and customers once the deal closes. You’ll probably see carbon-fiber or glass-fiber parts even sooner in your shop.